Have you ever set a goal in your life? It could be a personal goal or a business goal. It could be a goal towards self-development or maybe just a weekly goal or a monthly goal or a yearly goal. Whatever the case may be, I think you would agree with me that goal setting is a very important part of our lives. Let me quote Bruce Lee on this; he said: “A goal is not always meant to be reached, it often serves simply as something to aim at.” However, I think you would agree with me that when we reach our goals and met them or even exceed them, we gain not only a sense of pleasure but also success. It is one of those “atta-girl/atta-boy” moments that we pat ourselves in the back for a job well done. Today, we talked to Danny Ghitis, the Founder and Head Coach at GroupCoaching.com. He is an NYU-trained and ICF-certified coach that helps clients reframe their professional narratives and tackle obstacles fearlessly to achieve their goals. His practice is evidence-based, meaning it’s founded on research from coaching psychology, positive psychology, adult learning theory, and cognitive-behavioral therapy. Part of the conversation of achieving the goal is understanding why they need to achieve it so raising the necessity of achieving the goal is really important. New Year Resolutions really aren’t goals they’re just vague ideas. And if you’ve been setting these vague goals for a long time and not meeting them then your perception of your ability to actually achieve the things that you want to achieve becomes low. It’s really important to work on setting really specific goals. Having an accountability partner is essential. Specific and Timely – Specific goals are more likely to be me than vague or “Do-Your-Best” goals. Time parameters help with specificity. Intrinsic – Motivation is marked by a genuine desire, value and internal drive to meet the goal. Action Steps – Breaking the goal into the smallest action helps motivate the unconscious mind to accomplish the goal. Measurable – Assessing your progress supports achievement. This shows you how to get there and meet your goals. Realistic – This means the goal is reachable in the time period that it is set. Primers – Reminders and cues in your environment can keep your brain primed for success. Approach Goal – It takes more energy to avoid something than to approach it. Approach goals are affirmative goals you want to meet. Pitfall Planning – Implementation intentions support the mind when challenges arise. This makes goals 3x more effective. Accountability – Having external accountability significantly boosts productivity. Commitment – Exercises as simple as stating or writing a commitment enhances the goal achievement. If you want to know how you can achieve your goals even if you are struggling or having difficulty meeting them, this interview is a must-watch and definitely a must-share. 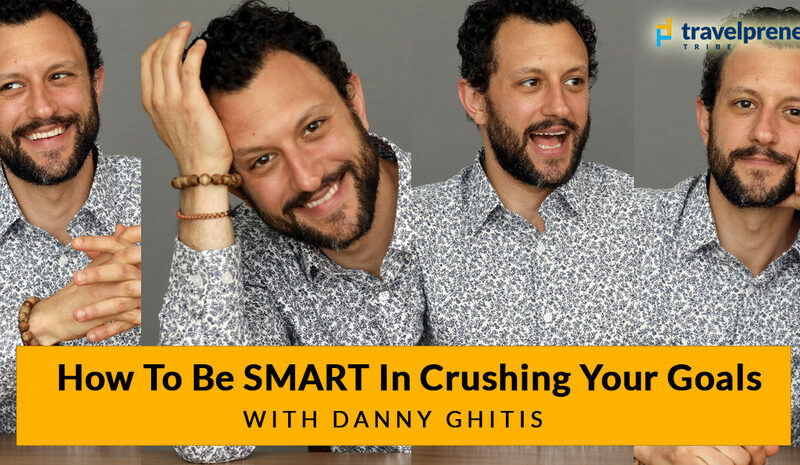 In addition to everything that was discussed, here is also access to the SMART (+) Goals Worksheet that Danny created for you all. My name is Aly. 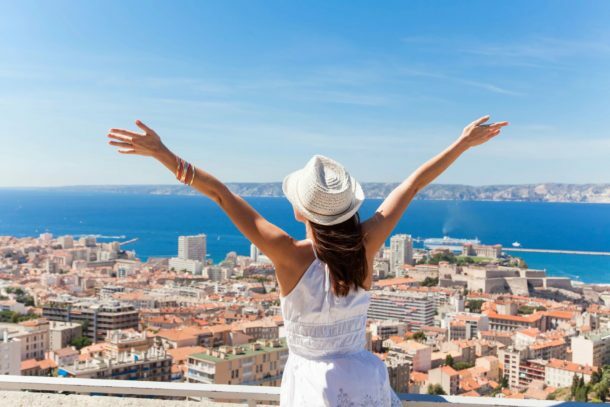 Would you have any interest to have your website here at travelpreneurtribe.com promoted as a resource on our blog alychidesign.com ?